On this blog, we spend a lot of time talking about conversion. And conversion is critical. If your online marketing doesn't convert, you’ll be out of business. We also talk about how conversion is more important than traffic. It is, but you still need traffic. You need to attract potential buyers to your website, and especially to your landing pages. So how do you get more traffic? SEO can help tremendously, although it can take a long time and a lot of effort to see the results you want. In addition to SEO, you might want to consider an investment in search engine or pay-per-click marketing (SEM/PPC). SEM can give a major boost to your online marketing programs. It can do wonders to help you increase traffic and e-commerce sales. It can also be a financial “black hole”. It’s not a guarantee of sales, and it can become so expensive it may put a serious burden on your financial resources, maybe even putting you out of business. You have to do PPC campaign right. When people are searching for anything through an Internet search engine, they use keywords. The keywords they use tell us a lot about what they are looking for. So if we can figure out the keywords they are using, we can gain a lot of insight that can help us be more successful in our PPC campaign. So how can we figure out the keywords to use? One way is to use Google Adwords Keyword Planner or similar tool. Such a tool can go a long way toward telling you what your searchers are looking for. In marketing, we always need to start by “getting” our market. We need to understand our potential buyer’s persona. We want to understand what “makes him tick”, what his fears, desires, dreams and motivations are, especially as they relate to our product. Another way to gain insight into your potential buyer’s keyword choices is to understand him intimately. 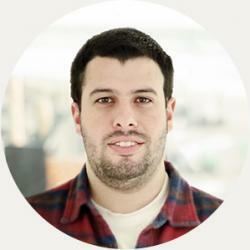 Understand what his motivations are in relation to your product. This understanding will give you considerable insight into the keyword choices he is likely to make. For example, if you sell physical fitness products and programs and your audience is made up of new moms looking to get back in shape after giving birth, chances are they would use search terms like “exercise programs for new moms”. This brings us to a relevant point that needs to be made – “Head” vs. “Long-tail” keywords. A head keyword would be a broad term like “exercise”. Long-tail keywords include terms like “exercise programs for new moms”. If you want to get found in searches by and attract clicks from new moms looking for exercise and weight loss programs tailored to their specific situations, focus primarily on long-tail keywords like “exercise programs for new moms”. If you put “exercise” or another very broad term as a keyword in your PPC ads for your program for new moms, chances are you’ll get some clicks, but most of those clicks probably won’t be from the niche market you are trying to appeal to. You probably want both head and long-tail search terms in your keyword selection makeup, but as with everything else in your online marketing, TEST, TEST, TEST! And make changes as needed. You've chosen and bid on your keywords. You've deftly worked them into the copy of your PPC ad. Qualified, interested prospects are finding, opening and responding to your ad. So far, so good. But even if you've done everything right up to this point, you can still blow it; your conversion results can wind up in the tank, IF you send traffic from your PPC ad to your website’s homepage. Think about it; put yourself in your prospect’s shoes. And remember what we’ve said so many times before on this blog – “Confusion kills conversions”! Your potential customer, who is anxiously wanting to spend money with you or anyone who can solve his nagging problem, searches with the keywords he’s chosen. He finds and opens up your PPC ad. He’s excited! He thinks he’s got the answer he’s looking for. In a feverish “Buyer’s pitch” he clicks the link in your ad and is taken to your homepage. Uh-Oh. Now he doesn't know what to do or where to turn. He’s confused. He’s impatient. He’s frustrated. And guess what!? You just lost the sale! So please don’t send PPC ad visitors to your homepage. Chances are you’ll lose lots of potential sales and cost yourself lots of money, not just in lost sales, but also in PPC costs. Even though they didn’t buy, they still clicked, and you have to pay. 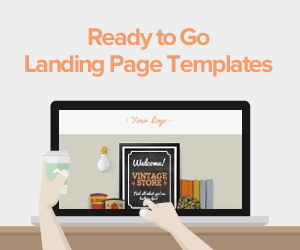 Instead of sending PPC traffic to your homepage, send it to a targeted, relevant landing page. Someone who clicked on your PPC ad and clicked through is very interested in buying from you. A properly set up landing page with persuasive copy and clean, uncluttered conversion-friendly design can be a powerful tool that can help you make the sale in that situation. And here’s a tip that can help make your landing page and PPC ad copy even more persuasive: work the keyword terms your potential customers use when they are searching for your product into your copy. This will drive home the point that your product is relevant to them and just might help send your conversion rate through the roof! Do You Want An “Unfair Advantage”? So you've got your PPC ads working hard to help you get more traffic. You’re wisely driving PPC traffic to a targeted landing page. Wouldn't it be great if you had an additional online marketing “unfair advantage”? Please understand that not all landing page software programs are the same. You want one that’s a snap to set up and a breeze to maintain. 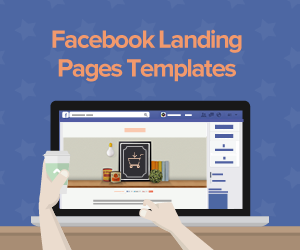 And given how competitive online marketing is, and considering all the hard work and financial investment you have put into your PPC campaign, you want a landing page that’s engineered to help you enjoy a higher conversion rate. Eye-catching headline areas – Headlines are a critical component of persuasive landing page copywriting. Lander’s headline areas can help make your sizzling headlines even more noticeable! Colorful, noticeable call-to-action buttons – We make it easier for you to get shoppers to say “YES”! Advanced A/B testing capability – Like I said earlier, you want to test your online marketing often. 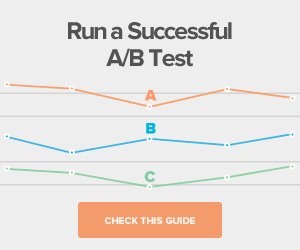 A/B testing can help you send your landing page conversion rates through the roof! I could go on and on about all that Lander offers you. But why not find out for yourself? Why not enjoy a free 30-day trial of any of our cutting-edge Lander templates and reasonably priced rate places? 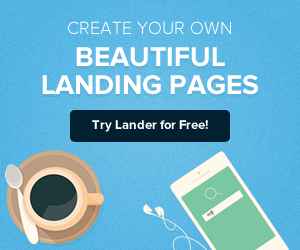 Any questions about how Lander can help launch your online marketing results into the Stratosphere? Contact us today. We’re here to help you!